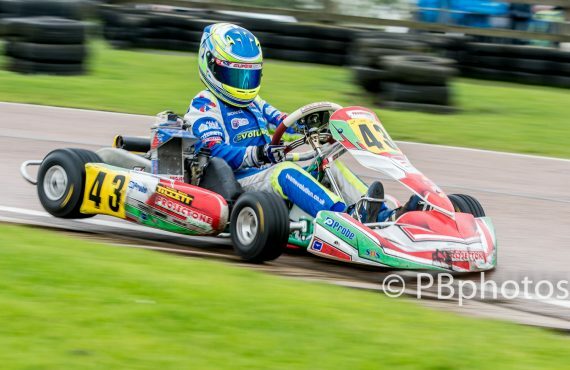 Bayford Meadows Kart Racing club championship round 10. 25.11.2018. 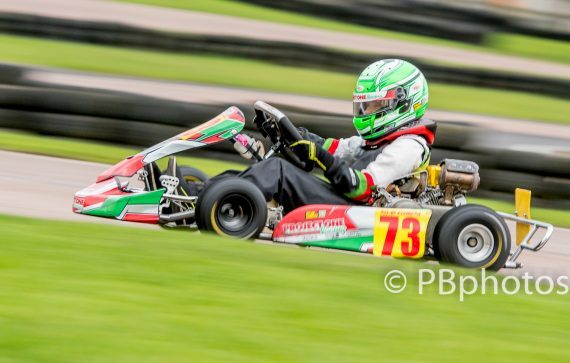 The weather for the previous three meetings at Bayford Meadows had wet and for this month’s final round the conditions were little different, although the circuit did dry sufficiently for the use of slick tyres during the last race of the day. With several class titles still up for grabs, tensions were running high around the busy paddock, as drivers and mechanics tried to perfect the best setup to suit the conditions. 13 young potential stars of the future opened the day’s program with the first of their three timed runs. 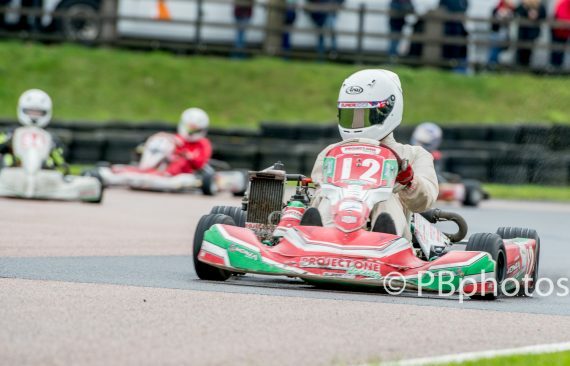 Four drivers – Oscar Osullivan, Harry Freeman, Fletcher Jamieson and Charlie Warren were vying for the championship number one, but with the latter Warren absent, it was down to three remaining as they set off on the very slippery and cold Bayford Meadows asphalt. By the end of the 1st session Osullivan sat at the top of the times with a 1:13.15s lap, Jamieson was next up setting a 1:13.38s, Freeman close behind on a 1:13.69s. Freeman topped the times in session 2 from Osullivan and Jamieson, Jack Pullen was 4th and Jesse Philips 5th in both of the openning sessions. For the final run the top three ran quite close together on the circuit, showing those watching just how evenly matched they were. This time it was Jamison’s turn to top the leaderboard with a lap of 1:12.23 , Osullivan’s 1:12.85 quick enough to take 2nd from Freeman’s 1:12.85. 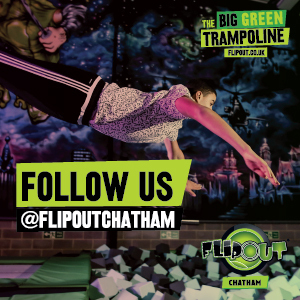 Pullen was again 4th, Jenson Hookey 5th, Philips 6th, in 7th was Rio Licata from Kristian Stefanov in 8th, Ayda Sexton 9th, Noah Baglin 10th, Leon Knight, Henry Carter and Alfie Mew completed the runners in 11-13th positions. Osullivan did enough to take the championship overall win as he now sets off to race in the Cadet class. Freeman ended up as vice champion with Jamieson completing the top 3 positions. Warren finished 4th, Pullen 5th and Stefanov 6th. The Elite class championship was sealed in style by Jamie Perilly at last month’s meeting and he showed no signs of easing up after he comfortably planted his Project One kart on pole position for the 12 lap final, the remainder of the top 6 on the grid consisted of Vinny Lloyd, Jack Williamson, Nathan Marques, Leon Frost and Ian Marginean. From the start Perilly blasted away from his pole slot to lead the opening lap, behind a mix up delayed Lloyd and Marques and with the duo fighting over 3rd in the championship, this was a setback for both, Marques having dropped to the rear of the field and Lloyd to 6th. Jack ‘Jackpot’ Williamson had moved into 2nd place and was soon on the leader’s tail. Frost had briefly found himself in 3rd but could do nothing about the charging Lloyd who soon passed him. Tighe Wratten and Marginean held 4th and 5th at this early stage of the race. ‘Jackpot’ moved his plain black kart ahead of Perilly by lap 6 and began to control the pace of the two leaders. Behind the VLC kart of Lloyd was still 3rd, ‘Frosty’ had dropped behind Wratten as he struggled with his tyres on the now drying track surface. 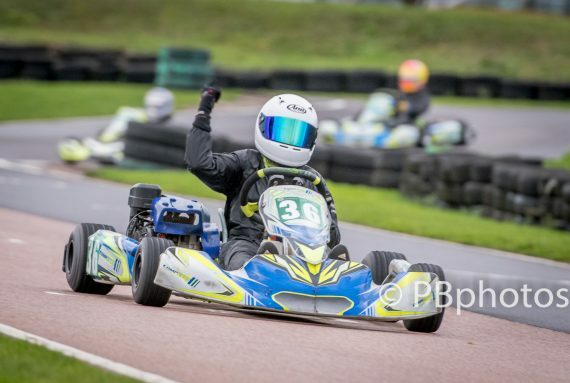 Back at the front we waited for an end of race challenge from the champion, but his tyres too had lost their edge and he could do nothing to stop ‘Jackpot’ Williamson from taking an emphatic win, his Brentwood karting experience paying off in style. Perilly ended up just 0.36s behind the winner, Lloyd finished 3rd after his delay, missing out on 3rd in the championship as Marques steathfully fought his way back up to 5th at the finish – securing 3rd in the points as he did so. The #42 TWR kart of Wratten was one place ahead of Marques in 4th. Marginean was 6th from a troubled championship runner up Frost in 7th place. The remaining finishers were Finley Watson 8th, Ethan Barford 9th, Chris Doble 10th and Jack Theobald in 11th. Fastest lap went to champion Perilly on the penultimate tour. 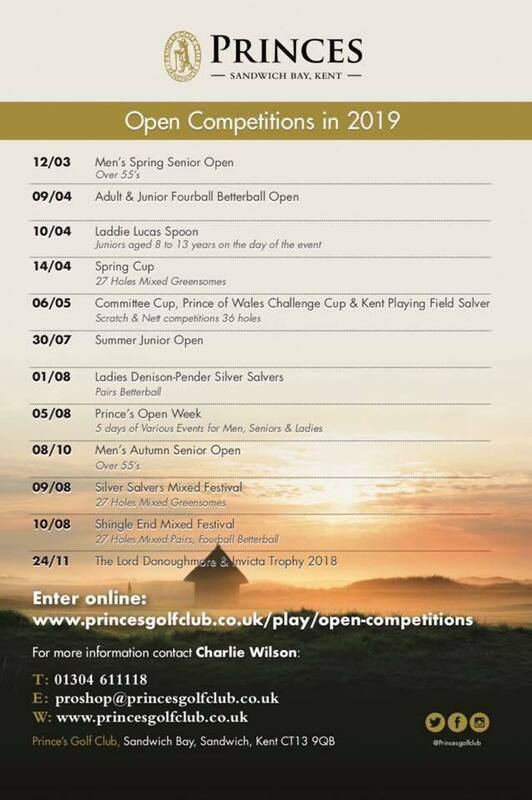 The competition has been close at the front of the popular Standard class all year, producing different winners, a colourful grid and some improving talent. One driver who has come along leaps and bounds is Rylan Echberg and on Sunday he showed us all his potential for next year. After taking wins in the morning’s heat and then the pre final, he led away from pole, his Project One kart visibly pulling a lead within half a lap from the C.H.D.D/Evolution pairing of Henry Ng-Zeederbeg and Kent champion Harry Chamberlain, by the end of the 1st lap he was on his way to a crushing championship winning victory. The battling teammates couldn’t be separated for the full 12 lap distance – that was until Revolution driver – Zain Khan put in a late race charge, similar to the one that he managed last month. He attacked going into the last corner almost drawing briefly alongside the #12 kart of Chamberlain, only to find that he didn’t have enough momentum to pull the move off, all three drivers ‘tucking in’ as they approached the last few metres of the 2018 championship season, just 0.5s covering the three as they crossed the finish line. Chamberlain’s 3rd place guaranteed him the vice championship position, Khan took 4th in the race and Championship, Lewis Hamilton fan Ng-Zeederberg 2nd on the road and 5th in the championship. Owen Neave put in a stellar performance to finish 5th after some good racing with Gustavs Usakovs, Jessica White and Timo Jungling, who finished in that order. White took 3rd in the championship in her Clarke kart after showing some excellent pace earlier on in the season and then suffering some bad luck in the latter half. Joshua Graham finished 9th and Emily Jackson 10th out of the 21 drivers who took part. Going into the final round of 12 for the Junior Subaru class, the fight for the number one spot was tantalisingly close between James Tomsett and Leon Clark with both in touching distance of the title crown. Lewie Weaver continued to show his recent rapid pace by taking the heat and pre final wins in his GMS kart, setting himself up for pole for the 12 lap final. Harvey Roffe lined up alongside him, now in a SAIT CompKart and driving very well. The CHD kart of Charlie Hand shared row 2 with Championship contender Clark’s Clark Motorsport kart. Row 3 had Clark’s rival Tomsett’s SAIT kart and the GMS kart of Caitlin May, who was continuing with her recent good turn of pace. Red Beswick and Lewis Barker filled row 4, Joe Wood and Joseph Gethin row 5. Weaver led away the 22 kart field as he had done earlier in the heat and pre final, this time however he had Roffe’s #36 kart for close company. Clark had jumped ahead of Hand as he tried to push for the extra championship points over Tomsett, the latter now also keen to move ahead of Hand. May was running with her GMS teammate Beswick falling behind initially before moving back ahead a lap later. Barker was next up from Kieran Janali who had moved up to 9th from 13th on the grid. As early as lap 2 it was clear to see that Weaver was struggling for pace, as the flying Roffe and then Clark soon demoted him to 3rd, things didn’t improve for the #96 kart as Tomsett, who had forged ahead of Hand, dropped him further back into 4th, by the race’s end Weaver was a disappointed 5th behind the impressive #52 kart of May in 4th. Roffe reigned supreme out in front eventually winning by a comfortable 2.68s and securing 4th in the championship. Clark finished 2nd and had Tomsett shadowing his every move, in doing so Tomsett took the 2018 Junior Subaru UK championship. It was quite fitting that the two title protagonists finished so close on the road at the end of what had been a long championship battle. The GMS pairing of May and Weaver finished 4th and 5th on the road, the former – Weaver taking a fine 3rd in the championship. Hand (6th), Barker (7th), Beswick (8th). Janali (9th) and Gethin completed the top 10 in the race. The fastest lap went to 11th placed finisher Jayden Neal-Holder. 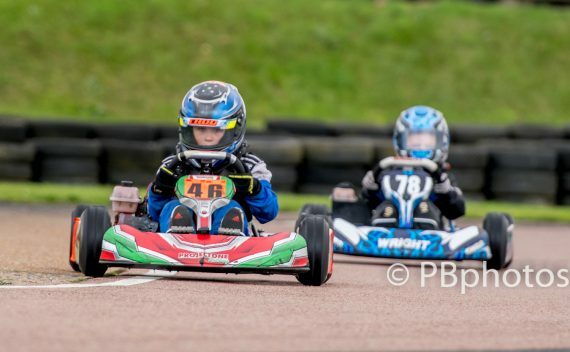 The Junior Club Max class was another championship nail biter, as two former Junior Subaru competitors went head to head for the championship honours. 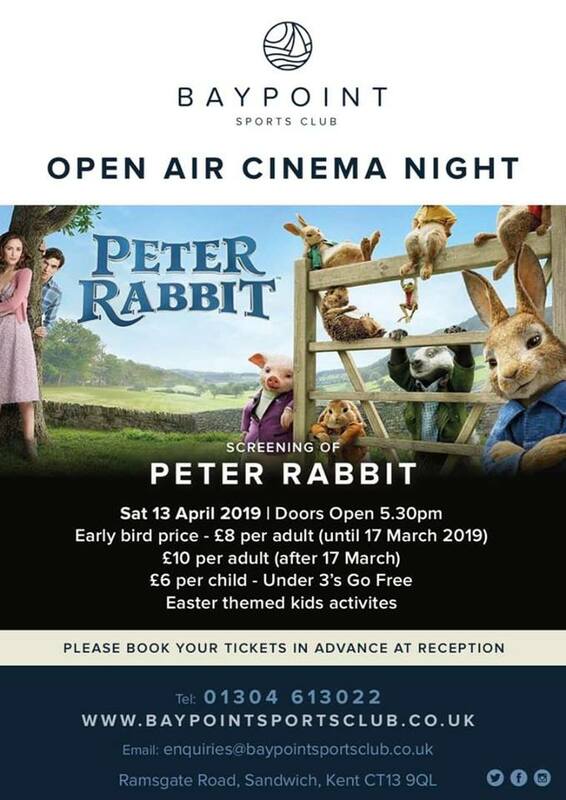 Kent Champion Riley Stephenson was up against James Black, with the latter having recently had the better run of results at the Sittingbourne circuit. Stephenson planted his GMS kart on the pole after comfortably winning the morning’s heat and then holding off his rival Black in the pre final. With the circuit now progressively drying this final was going to be a true test of who had the best setup for the conditions. 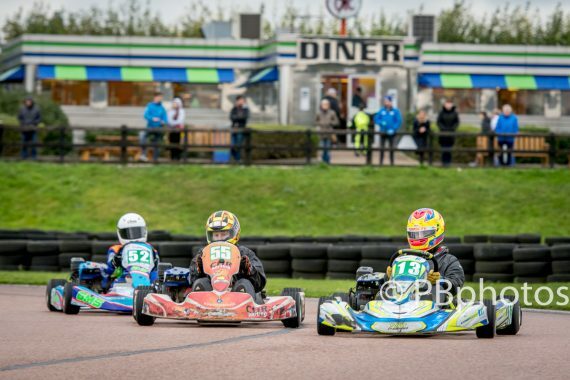 Throw into the mix a ‘hungry for wins’ Declan Lee, Jack Davis, Josh Pullen and the rest of the 15 kart grid and the final was a mouth-watering prospect. 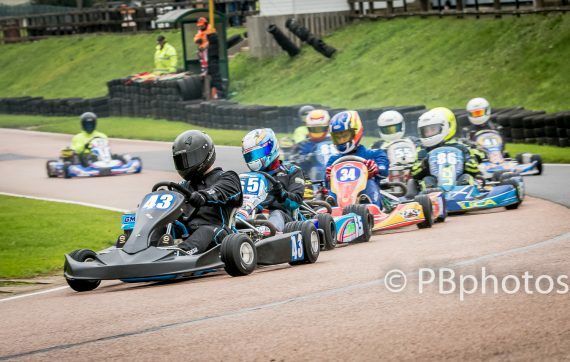 The blue/white kart of Stephenson led away the final from the JB Motorsport kart of Black and the Project One kart of Lee following closely behind. After two laps it was clear that Black and Lee were faster than the leader, who no doubt knew that he a had a points cushion over Black and just had to keep him in sight during the race. Just as the #53 Bristol Street motors backed kart of Black was about to pounce, Lee came barrelling past! He then swiftly made his move on the leader Stephenson as they entered the boot section, with Black following him through. Stephenson’s kart didn’t look fast at this stage of the race and he watched as Lee and Black pulled away from him. A driver who was on a charge from way back in 11th on the grid was last month’s runner up Will Egby – by lap 3 he was up to 5th and then by lap 7 he moved past a seemingly struggling for grip Black into 2nd place. By mid-race it was clear that wet tyres were not the right ones to have on your kart, as many of the drivers found out. Lee managed to coax the best out of his rubber to cruise to victory and he later thanked his mechanic for the excellent setup that he had given him in parc ferme . Teammate Egby too had benefited greatly from his set up as he took an unexpected 2nd place. Black held onto 3rd without any real threat from those behind after Egby had blown past. Stephenson did just what was needed by keeping his title rival in sight; as he went on to take his second championship title of the year. Josh Pullen was next up in 5th, driving his Clarke kart he had recovered from an earlier retirement when a side pod flew off of his kart. Declan Russell making his debut in the Mini Max class, managed to mix it with the Juniors in the tricky conditions, to take a promising first class win and finish 6th overall on the road. Brendan Sathees Brought his SAIT kart home in 7th after a combative outing in the midfield. Jack Davis was next up in 8th with Poppi Stephenson crossing the finish line in 9th looking to see where her double championship winning brother had finished! Top novice Jack Aldis finished in 10th place. Declan Lee took the fastest lap and moved up to third overall in the championship despite missing rounds during the year. All eyes were focussed on the fight for 2nd place in the championship, as absent champion Joe Hunt sealed the championship title last month. LiCA teammates Steve Bouffe and Mike Ashby fought tooth and nail in the heat and pre final as they battled hard for the vice champion position. Thomas Lawson’s GMS team had found the perfect set up for his kart and the conditions, as he dominated in the heat and pre final to line up on pole for the last final of the day, tellingly on slick tyres. 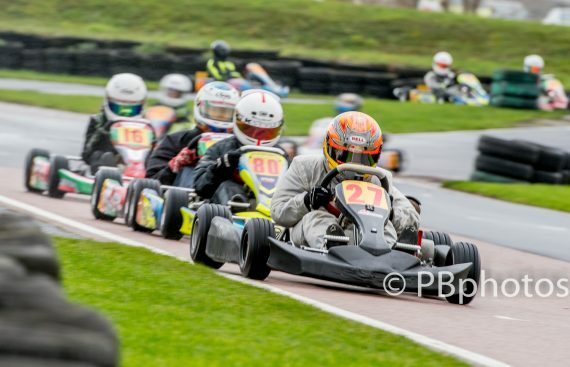 Similarly slick tyre shod Oliver Appleby’s yellow and red Clarke kart slotted in alongside Lawson’s all black kart on the front row, on the 2nd row – Jack Wall (GMS) was on slicks and hadAshby alongside choosing wets. The next row had LiCA teammates Bouffe and Benjamin Boras both on wets too. Harry Smithson (wets) and Jack Richards (slicks) shared the 4th row. The last row consisted of slick runners Lewis Deacon and Tom Richards. The first few corners caused a few problems as the drivers tried to adapt to the now drying but wet in patches circuit, this gave Lawson the chance to break clear, which he did so in style, immediately pulling a huge lead over the rest. Appleby struggled initially for grip and slipped back, Bouffe had made a flyer of a start on his wet shod kart as he jumped up to 2nd, although it was soon clear that he wasn’t going to stay there for long as his tyres began to overheat. By lap 2 Wall had found a way past the blue #55 kart and Boras soon followed his move. It would be cruel to say that Bouffe’s kart had started to become a bit of a road block, as he held back Appleby and the slick shod Richard’s brothers Tom and Jack. Once they had moved ahead Bouffe found his championship nemesis Ashby the next to pose a threat. Disappointingly though the threat never materialised, as the Happy Headlights driver – Ashby found that this tyres had given up their best and he had to watch his rival pull away over the remaining laps, giving Bouffe 2nd in the championship by just a solitary point, after a long and full season’s racing. Lawson reeled off the laps to take a comfortable 11s win, his first in the Senior class since moving up from Juniors. Wall in 2nd was well clear of Appleby in 3rd. Tom Richards (4th) finished ahead of his SAIT teammate and sibling Jack(5th), as they both overtook Boras (6th) – who was another struggling with worn wet tyres. Lewis Deacon was playing catch up after a troubled opening lap on his way to 7th, a lapped 8th and 9th were the battling Classic pairing of Bouffe and Ashby, both later declaring that they were looking forward to resuming their somewhat epic championship battle again next year ! Harry Smithson unfortunately retired early on in the race with his kart’s engine sounding rough. It was no surprise to find that the fastest lap went to the winner Lawson, capping a superb day for him. This entry was posted	on Saturday, December 1st, 2018 at 1:00 pm	and is filed under Featured, Motor Racing. You can follow any responses to this entry through the RSS 2.0 feed. Both comments and pings are currently closed.